Angel Dust is a real and actual thing! 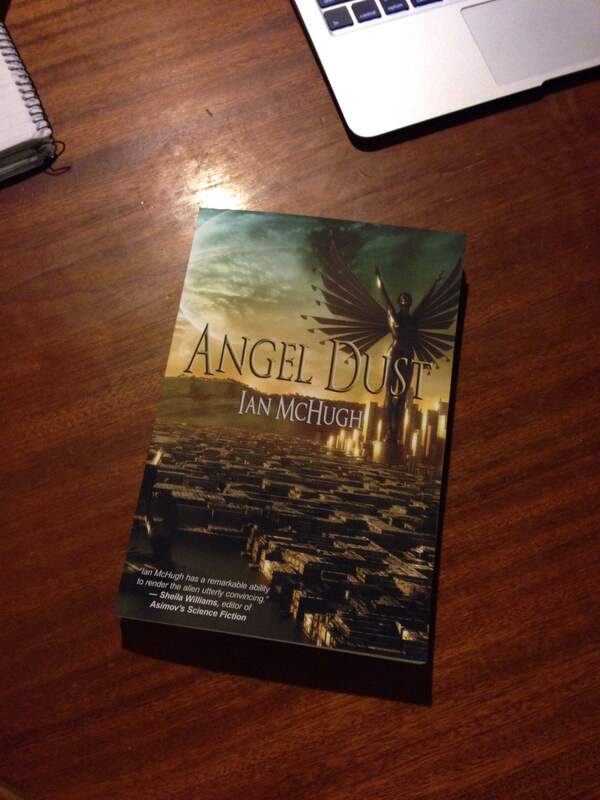 So, today I received some author copies of Angel Dust. Hum. There is a book. With my name on the front. That is a real and actual thing. Out in the world. And you can order it on Amazon (UPDATE: and IndieBooks, Readings, Wordery, Alibris, etc). Golly. Table of contents below. It includes 4 new stories and 11 reprints. A couple of the reprints are available online, so I’ve linked those stories for anyone who might be interested in sampling. Congratulations! What an exciting thing for you! The excellent Ian McHugh’s book of short stories is out and available! Buy it now, go on, you know you want to. Ordered and can’t wait to read it!